Olloclip lenses for iPhone 8 and 8 Plus come in a wide range of options. Lenses are still available for the iPhone 7 and 7 Plus, iPhone 6 and 6 Plus, iPhone 6s and 6s Plus, iPhone SE and the iPhone 5 and 5s. Unfortunately, Olloclip hasn’t launched their iPhone X products yet, however, we’re assured they’re in development and will be available for pre-order early in 2018. Now, let’s look at the specific types of add-on lens offered by Olloclip, and discover why and when you’d want to use them. Your iPhone already has a high-quality wide-angle lens as standard, but an add-on wide-angle lens will let you capture even more of the scene. This makes it perfect for shooting landscapes or group shots where it’s not possible to squeeze everyone into the frame with the standard iPhone lens. Every lens has a “field of view,” measured in degrees, which specifies how much of the scene will be captured. Depending on iPhone model, the standard front-facing lens has a field of view of between around 55 and 75 degrees. 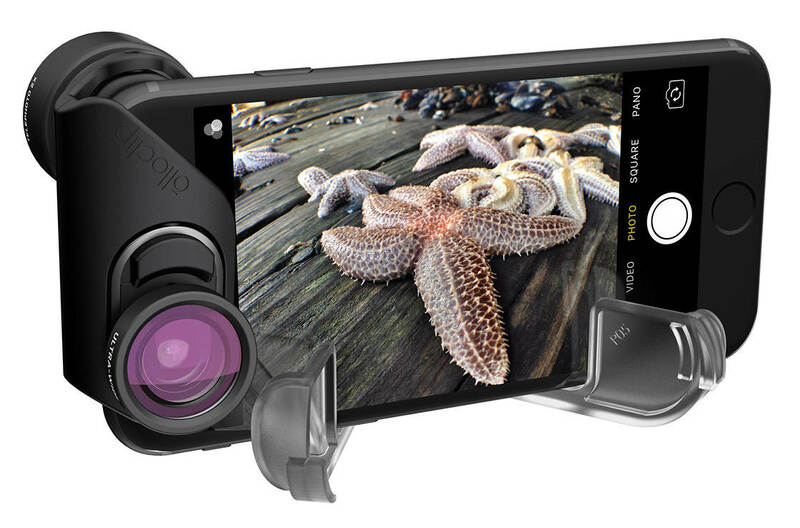 Olloclip offers a 120-degree wide-angle lens and a 150-degree Ultra-wide lens. Although you’ll get more in the shot with a wide-angle lens, you’ll notice a fair bit of distortion in your final image. That is to say, any straight lines in your photo will appear curved. The wider the angle of the lens, the more distortion you’ll get. The photos above show the difference between the standard iPhone lens (left image) and the super wide-angle lens (right image). The amount of lens distortion visible in the right image is significantly more than in the left image. While wide-angle distortion is often considered undesirable, you can either embrace this as a creative feature or use an app like SKRWT to correct the distortion. Also, be aware that if you have people in the shot you’ll want to compose your image with them at the center of the frame. This is because the distortion is worse nearer the edge of the frame. Fisheye lenses are effectively extreme wide-angle lenses. You can get a 180-degree field of view with the Olloclip fisheye lens. You can use this to create dramatic sphere-shaped rounded shots with darkened corners. The distortion of the scene in these images is part of their appeal. 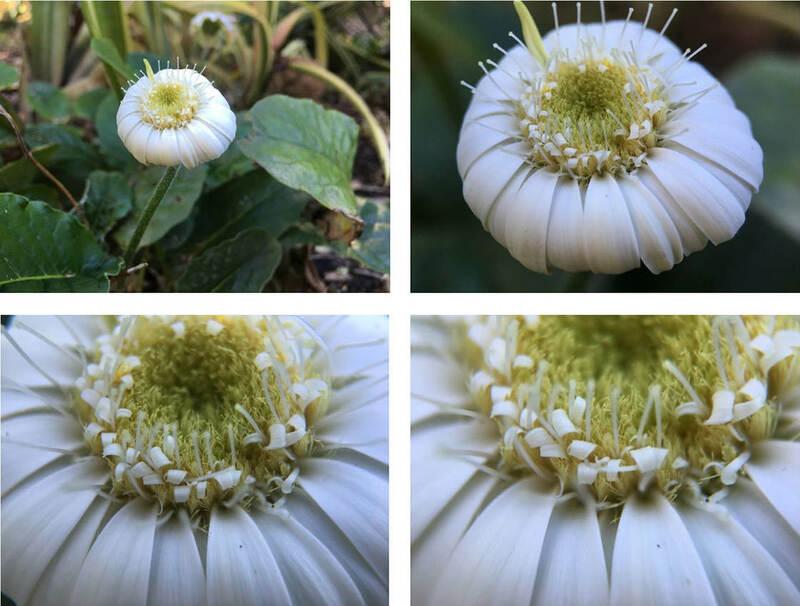 Here you can see the dramatic difference between shooting with the iPhone’s built-in lens (left image) and the Olloclip fisheye lens (right image).  One way to bring a distant subject closer to the camera is to use the zoom feature in the camera app. However, using any amount of zoom on the iPhone 8, or a more than x2 zoom on the iPhone 8 Plus, causes the iPhone to use digital zoom, which always results in poorer quality images. However, you can bring your subject closer and maintain image quality by using the Olloclip telephoto lens. The Olloclip telephoto lens relies on lens optics for magnification. With a telephoto lens, you can take shots from wherever you are without having to move closer and risking interrupting the moment. The larger the magnification number of the telephoto lens, the bigger the distant object will appear in your photo. The Olloclip telephoto lens offers 2x magnification. This effectively means you can get twice as close to the action without physically moving. If you have the iPhone 8 Plus, your camera also has a built-in 2x telephoto lens. When used with the iPhone’s built-in telephoto lens, the Olloclip telephoto lens increases your optical magnification to an impressive 4x. Lastly, telephoto lenses tend to flatten facial features and so are far more flattering for portrait subjects. Macro lenses have a very specific purpose. They allow your iPhone camera to get much closer to your subject so it can capture tiny details. The larger the magnification of the lens the more detail you’ll be able to capture. Olloclip offers several different macro lens magnifications. Check out what is available for each iPhone model by looking at the tables in the “Lens Kits” section below. You’ll need to get up close to your subject and hold your iPhone very still to get detailed, in-focus images. This is because the depth of field (the amount of the subject which is in focus) is very shallow, meaning that the smallest hand movements will cause big changes as to what is in focus. This becomes even trickier for the larger magnifications.  Olloclip has introduced the InstaFocus™ hood to help overcome this challenge. When attached to the macro lens, the hood acts as a spacer, to give you a physical guide as to how far away from the subject you need to be in order to achieve sharp focus. The hood is translucent and diffuses the incoming light to illuminate your subject with a nice, soft and even light. The hood is provided as standard with Olloclip’s macro lenses. If you take a photo of something flat, like a pressed leaf, you’ll achieve a sharply focused image throughout.  However, if you’re photographing a three-dimensional object, only a small part of the image will be in focus. You’ll need to decide which part of the image you want to be sharply in focus, and adjust your distance from the subject by a few millimeters. The Olloclip lenses discussed above are available in a selection of lens kits – as shown in the table below. Each kit offers a different combination of lenses aimed at particular types of photography. The Core Lens Set ($99.99 from Amazon) is a good option for an introduction to the range of lenses available. This kit comes with a fisheye, 120-degree super-wide and 15x macro lens. If you enjoy landscape photography, go for either the Active Lens Set ($119.99 from Amazon) or Vista Lens Set ($119.99 from Amazon). Both of these lens kits offer a wide-angle lens for capturing more of the view, as well as a telephoto lens for picking out distant subjects. If you’re a fan of close-up photography, the Macro Pro Lens Set ($79.99 from Amazon) is a great choice because it consists of three macro lenses of different magnifications, giving you the ability to shoot a wider range of close-up subjects. You can also purchase the following lenses individually. Some are single lenses, while others are a pair of different lenses. 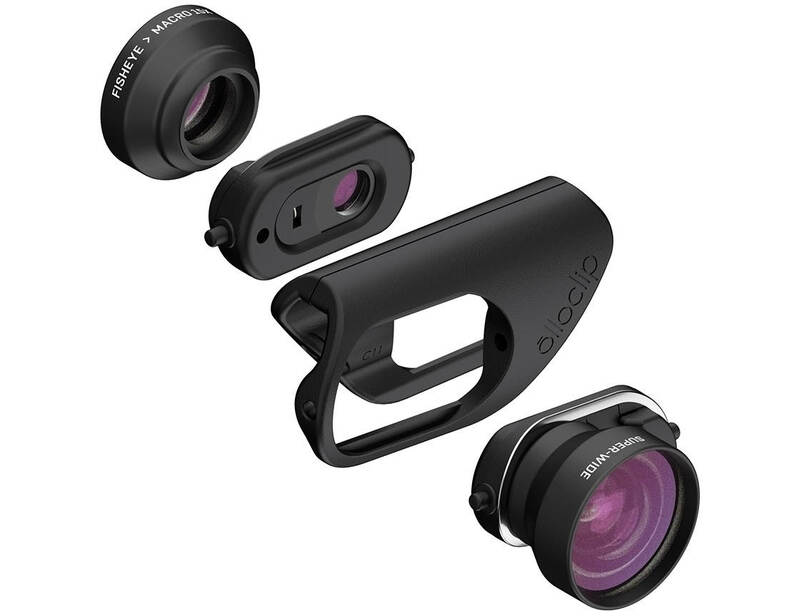 These lenses can only be used with your iPhone 8 or 8 Plus if you have the Connect Clip which is provided with any of the lens kits above, but not with the individual lenses. Read on to learn more about the Connect attachment system. The Connect lens attachment system has been introduced for the iPhone 8 and 8 Plus. It works simultaneously with both the rear and front-facing camera on your iPhone. The Connect system also has the advantage over the previous system of working with your screen protector in place. 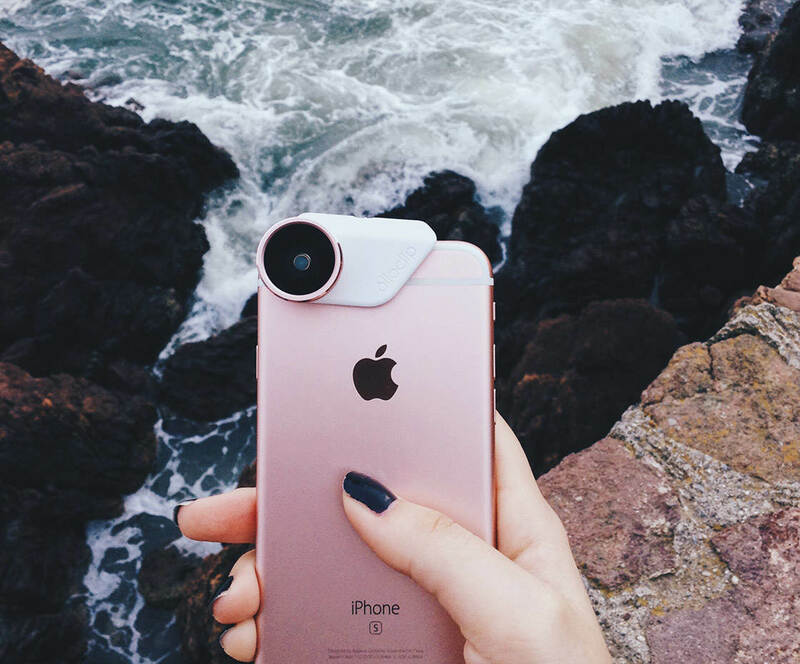 The compact and lightweight lens attachment fits quickly to your iPhone and allows you to easily drop in the lens of your choice. 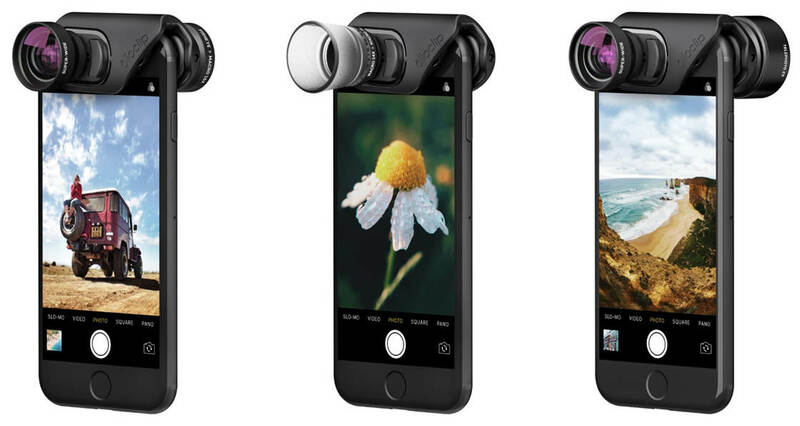 You can purchase a Connect Clip and Pendant Stand separately (from $19.99 from Olloclip). 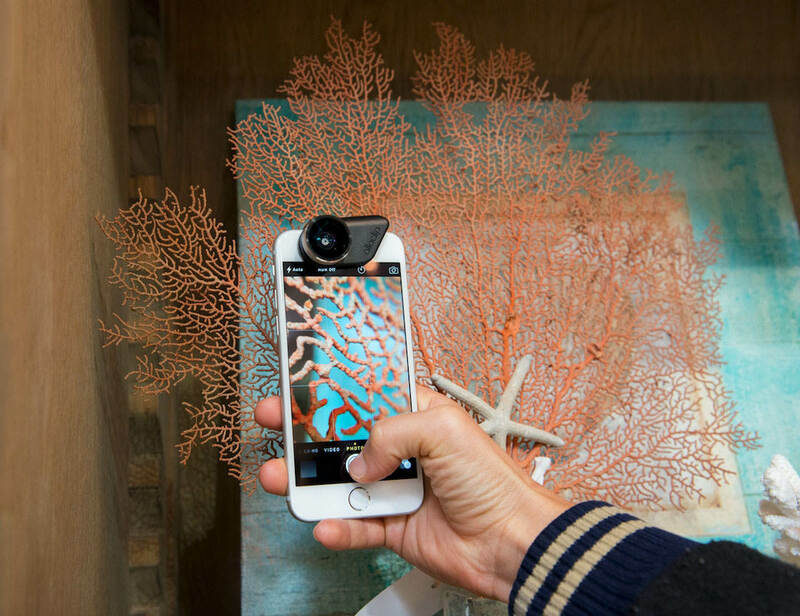 There are two models – one for use with an Olloclip case, and another for use without a case, both priced at $19.99. Olloclip offer different cases for the iPhone 8 and the iPhone 8 Plus, both priced at $29.99. 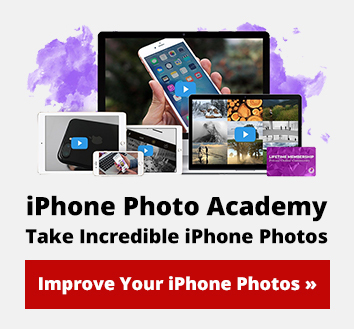 Remember that with any add-on lens you won’t be able to improve the quality of the images that you take using the native iPhone camera, however, you will be able to extend your iPhone’s photography capabilities.  With the wide-angle lens, you will notice some distortion of straight lines and facial features, however, this is not unique to Olloclip – all wide-angle lenses share these shortcomings. Finally, you’ll need plenty of available light when using Olloclip lenses for iPhone 8 and iPhone 8 Plus. This is because they’re don’t work with the iPhone’s built-in flash. You can buy Olloclip lens kits, individual lenses, and accessories direct from the Olloclip website or from other retailers such as Amazon. The price for a lens kit starts at around $80. Individual lenses start at $39.99. In this article, you’ve discovered Olloclip’s lens kits and what kind of photography each lens kit is best suited to. The Core Lens Set is a great general purpose lens kit. The Active Lens Set is perfect for landscape, action and adventure photography. The Macro Pro Lens Set is ideal if you want to shoot macro subjects of different sizes. The Vista Lens Set is ideal for landscape photography. Finally, you’ll have lots of fun shooting with the Olloclip lenses for iPhone 8 and iPhone 8 Plus. Just make sure you choose lenses and attachments that are specific to your iPhone model and use the information in this article to help you choose the right lens kit for your photography.